Nigerians have not rested in making mockery of the situation considering how such a highly guarded place could be infiltrated by mere rodents. 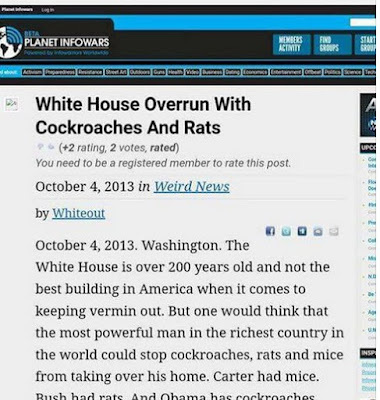 Some Nigerians have dug up an old article where it was revealed that the White House was overrun with Cockroaches and Rats.. According to the article, the White House – the home of the country’s sitting President and his family – has always had a problem keeping unwanted rodents out. President Carter had mice. President Bush had rats. President Obama has cockroaches. 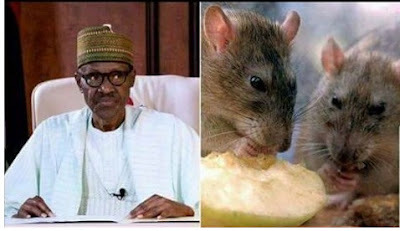 Nigeria's government spokesman Garba Shehu said the office required renovation after damage was done by the rats to the furniture and air conditioning in his absence.